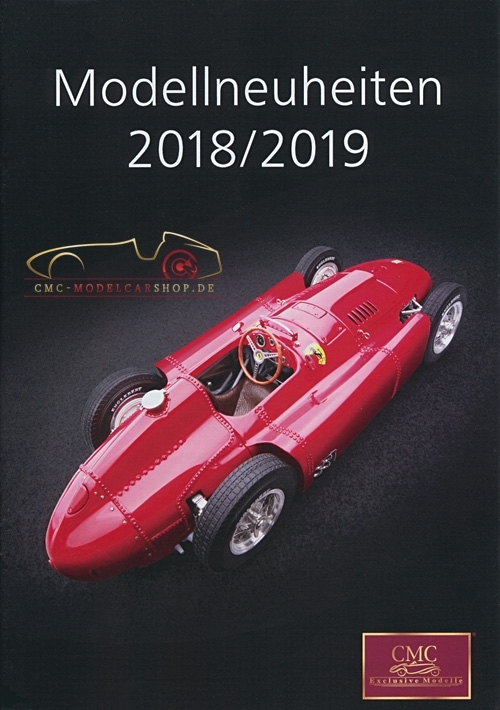 The company CMC Classic Model Cars from Fellbach near Stuttgart has set new standards in the model car range. Devised in the Swabian town of Fellbach and produced in faraway China in its own factory. Have not you ever wondered how Mrs Jia Shuxiao creates miniature car unmatched in exclusive quality produce? Then adjust now exactly on: Together we look to the founder of the company CMC in their work over the shoulder. Just sit back and let yourself be impressed. The faith of the workers in the CMC Classic Model Cars-production facilities in Shenzhen (China) to their models, their company and not least their own work is strong! Impressively shows the official CMC Image film in cooperation with Squat De Lux the complicated and costly manual work and the people behind the fantastic impressive models. You will be amazed! Just sit back and let yourself be impressed. The dream - in this case, the detailed illustration of the most expensive dream car of all time - is intact! Dedicated to the comprehensive 1638 parts CMC model of the 1958 Ferrari Testarossa this film tells of Philippe and Pascal Edouard, Squat De Lux and Albrecht Würschum, Sales Manager, CMC Fellbach the fictional story of "robber" of the well-guarded CMC Classic Model Cars-quality mystery - so pure excitement! Just sit back and enjoy the action. The artist Philippe Edouard staged with his squat De Lux artful and modern Mercedes Benz brand models CMC Classic Model Cars, which moves with it in a completely new light. With plenty of charm and sometimes slightly oblique, you will certainly draw this short film in its spell. Just sit back and enjoy the pictures. In honor of the CMC model of the legendary Ferrari 250 GT Berlinetta SWB Competizione in the limited edition of 7000 pieces LeMans Edition, and our limited edition of 200 pieces overpack, Philippe and Pascal Edouard stage a road movie about love, music and driving. Just sit back and enjoy the movie. Filmed impressions and impressions of the CMC-stand at the International Toy Fair 2010 in Nuremberg and put together by Philippe Edouard, Squat De Lux. You will be enchanted by the latest CMC models of the year and well-known high-quality beauties.